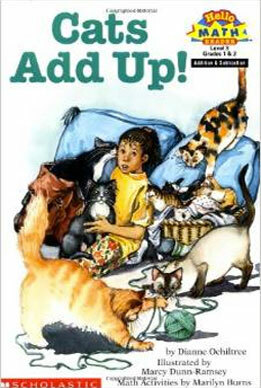 In this warm-hearted and funny story, ten cats help beginning readers practice their addition and subtraction skills. Charming, full-color illustrations by Marcy Dunn-Ramsey. Includes story-related activities from math educator Marilyn Burns. Helps parents and teachers reinforce children’s skill and confidence with numbers. Released in hardcover editions by Demco Media and Turtleback Books; published in Chinese language edition.